Webmasters and Bloggers have not even recovered from destructive Google Panda Update as they are still busy in combating against it. But now we have to face yet another threat, Google is all set to release its new algorithm named “Google Penguin Update”. I don’t understand why Google always named these updates on animals as they are making use to like/dislike these lovely animals which are nearly unknown to us. The reason behind this update is to decrease the ranking of those sites which are violating Google’s existing quality guidelines. 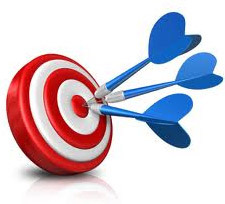 There main focus is to penalize those website/blogs which are over optimization with tricky webspam tactics. 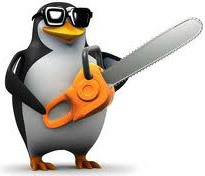 The Latest Penguin Update may possibly the improved version of Google’s old Panda Update which is fine-tuned to target those who are violating quality content guidance. This effect can not only decrease our traffic but also has the tendency to damage our SERP ranking. But those of us who are not using such old-fashioned, spammed strategies don’t have to feel any stress. This update is mainly designed to affect that website which has tiny or low quality content, and instead of building lethal backlinks are busy in abusing inbound linking guidance. 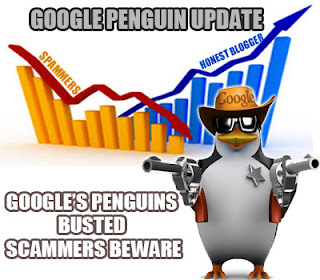 Google Penguin update will not affect those blogs/websites which are using pure SEO as they heavily depends on their content and according to Google content is the king. This update will completely change the way of searching it will not only give better search results but also give a boost to high quality blogs/websites by ranking them high in SERP (Search Engine Results). It’s easy to discover, just search some of your popular keywords in Google and check whether your site is getting the same rank that it use to get previously if it is getting the same ranking then we you have survive the first wave. Now quickly look at your website statistics and check how much visitors is referred by Google. If you saw a major traffic drop down then compare your old stats with your current stats if so, then you are unlikely hit by a Penguin Update. But if you saw a rise in your traffic then Penguins is being cute to you so don’t worry. Saw no change? Then you are safe it has no impact on your website. It’s been an old trend to build backlinks by commenting on high page rank websites but as the technology is getting advance we need to elaborate our self. It is the time that we stop comment spamming this not only irritates a blog owner but now it can also affect your site ranking. Most users only post a comment for the sake of getting a BackLink they use automation commenting which are over stuffed with keywords and links which makes it simple for Google to identify this, and penalize these sites which are using such spam techniques. Keywords are the most essential part of SEO (Search Engine Optimization) it allows users to get the relevant content with the help of search engines. But most of the users are using it as a source of getting traffic by using blackhat techniques. They use the same keywords in every line of there article which makes Google to suspect why they are repeating same keywords again and again hence they penalty them. 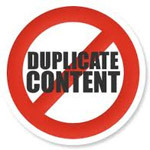 Google panda is alive so content thief’s should not feel any joy as now they have to survive the two deadly animals (Not really) who are ready to devastate the entire spammed world of internet. 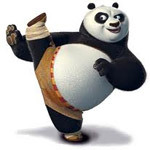 Few weeks ago, Google officially confirmed that they released an update to its Panda 3.5 algorithm on April 19 2012. 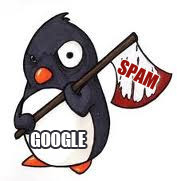 So it means Panda will fight against low quality pages while Penguin will target spam content. Penguin is really cute animal the reason why it is sweet to us (MBL) and we officially confirms that we are stable in our traffic as we don't saw any break down in our traffic. Still Penguin is new so it is really difficult to observe it in such short time but we will try our best to provide you quality information. Soon we will publish more articles which will allow you to fight against Penguin update, till then Peace, blessings and Happy Penguin Updating. Nice post and nice blog, just keep at it. Nice,I realy enjoyed your post...Thanks for sharing this info. Ahem... 'not only irrigates a blog owner'..spell check.. I love this line though - But if you saw a rise in your traffic then Penguins is being cute to you so don’t worry. this is the 2nd best article i've read this week about google penguin update, one of my website actually increased ranking and in page 1 now. this update has positive effect on my website. Faizan, this is really a mind blowing article. Google is an improve the new verson Updated by releasing date 24 April 2012...? It's great to know about this. I think it's an excellent step against the web spamming. Great job. A query from my side. Lets take a case study. everyone who loves downloading movies, applications or ebooks must have visited rlslog or similar sites, if google restrict spam than why their site has PR 4 and why they came on the top while searching any movie name. These sites copy the plot from IMDB than why they still rank so high with alexa ranking of 1k??? I still think good black hat (i.e., the guys clever enough to get away with it) will still beat white hat. Black hat is almost an addiction, i.e., after someone has gotten away w/getting great results with minimal effort, the thought of how hard they would have to work to obtain the same results w/out black hat is truly terrifying. No way are they giving up black hat, and the black hatter SEO's out there aren't just going to give up and go to law school. While webmasters and SEO agencies attempt to create innovative ways to combat the penguin update , there will still a excessive need to pick up the pieces. Using tips like this will be a great tool in the back pocket of webmasters as they find ways to reacquire their ranking and domain authority. One has to look at their domain's other pages to start the reclamation of their rank. Thank you for this post of useful information.